Pearl of Heaven The Hotel Welcome You! At Pearl of Heaven The Hotel, we would like to provide you the best of the contemporary amenities with high standard of personalized service. 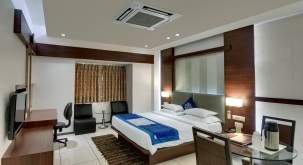 Pearl of Heaven The Hotel is located in the fast developing industrial sector in the out- skirt of Ahmedabad, where presently big companies alreadyexist and manyindustries are awaitinginthe near future. A well designed ambience matching beyond your imaginations and comfort for all age. Menu features full of tongue lingering delicious Indian, traditional and other dishes. Well versed trained service staff for warm welcoming till you leave with plan of reverting back for new gathering now and everytime. 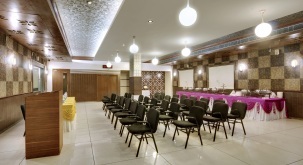 The hotel offers superbly acquainted Banquet Hall for all types of events.Accommodating from 25 to 250guests' may it be business meet or conference, social or corporate gatherings. 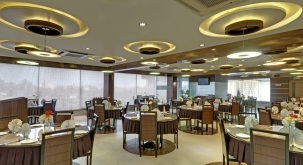 The hotel is well equipped with all latest technologies required for every gathering.